Yes, you hear it right. 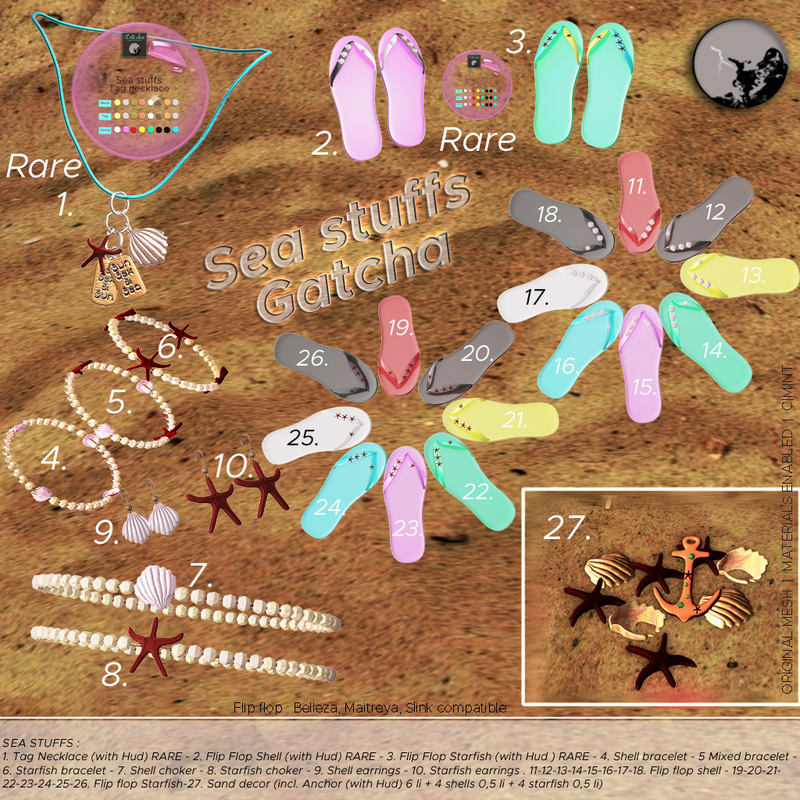 Petit Chat is actually participating in The Project Se7en Gacha and all the items are related to the seaside! The Shell Choker and Mix Necklace are Kitty's favorite and that is why this comes in the very first photo here. It totally gives you the feel of being at the seaside. However, the necklace is also the rare item from the gacha. The choker also comes has another version with the Starfish instead of the Shell! There is also a pair of Shell necklace if you manage to get them and it not only looks very natural, it is also very cute when the shell jingles. There is no reason not to wear the Sea Stuffs bracelet, at the beach or not. The version Kitty has here is the Starfish which can be seen even from such a distance. That is because it is cute! And Red. :) There are also flip flops which are rare items too and you should go check it out yourself!